What a gorgeous day for a spring wedding in Oxford! 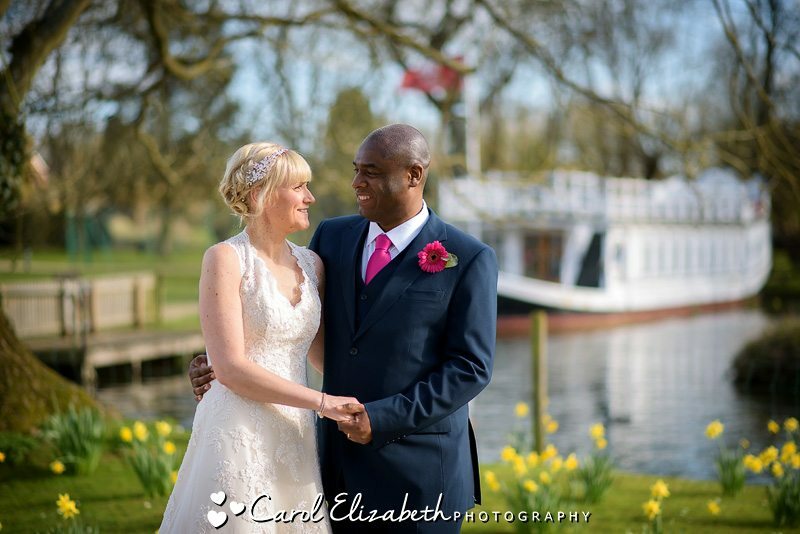 I love being a wedding photographer at Oxford Thames Four Pillars Hotel, as the location on the river is so picturesque. The hotel has been newly revonated and offers plenty of options for your ceremony and reception. This is a sneak peek from the wedding – more to follow soon! Why I love this photo – the emotion, the sunshine, the boat in the distance which is a landmark of this beautiful setting. Yes, I love everything about this photo and I wish Tracy and Donald all the best for married life. If you are planning a wedding at Oxford Thames Four Pillars in Sandford then please don’t hesitate to get in touch. I offer a selection of pricing options for your big day as well as beautiful albums and your images on USB.